CIJ International Jewellery TRENDS & COLOURS - IN THE PRESS: Metallier Jewellery - Unique jewels. Metallier Jewellery - Unique jewels. Metallier Jewellery comes from Jaipur. Also known as the pink city, it is famous for its jewellery and its art. The brand is now expanding in order to offer its customers even finer pieces. Blended with genuine gemstones and pure metals, they form unique jewels. 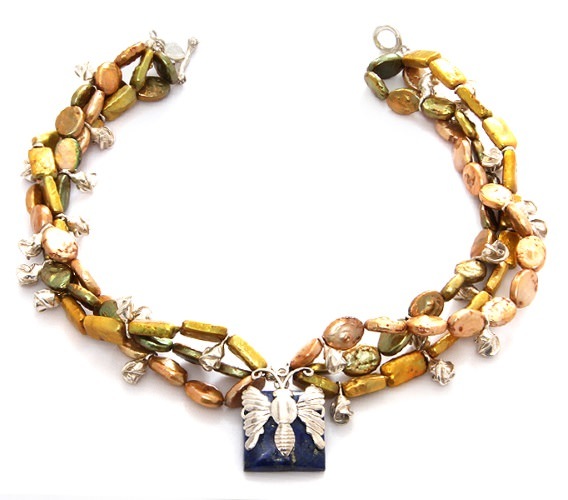 Designed in praise of nature, the “Natures Lap” necklace from the designer collection is a display of fine unique pearls in earthy colors of glittery peach, bright yellow, and pleasant green. The piece is tailored and twisted together, mingled in between Sterling silver rosy charms. Adding to its beauty is a contrasting Blue Lapis Lazuli in its center, covered with a butterfly motif. 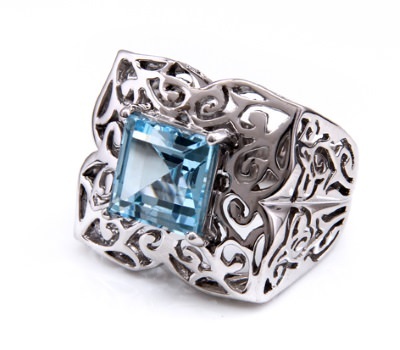 The “Romancing Art” ring features a princess cut blue topaz in a lovely sky-blue colour crowned at the top of a brighter, bolder and beautifully shaped band in Sterling silver with filligerie artworw. Another ring from the brand’s collection is the “Old in New” where textures are inspired by timeless design. 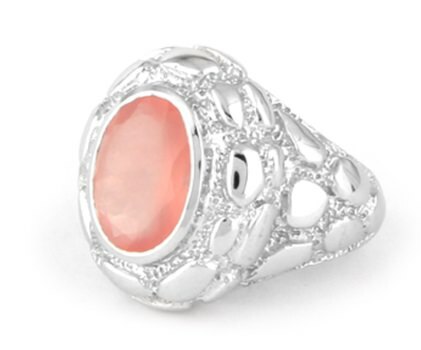 With a rosy pink quartz embedded in a hammered band of sterling silver.